Ditch the diet and pick up these eight minor adjustments to your life that’ll cleanse your body and keep you ripped. Or get you ripped. Whatever, you understand. 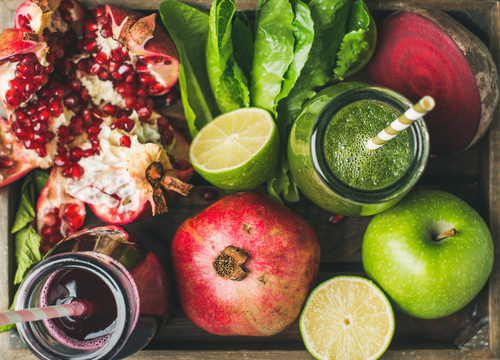 Small changes like drinking more water, sweating bullets in a sauna, and cutting down on cow mother’s milk for a week can give your liver some much-needed R & R. With your liver working less, you’ll feel more energized and reach more of your fitness goals. Lots of people don’t know they’re lactose intolerant. Their bodies are saying, “I can’t understand this.”, but they never realize that dairy is the problem. If you eat some cheese or drink a glass of milk and feel nauseous, have diarrhea, or get bloated, you might be lactose intolerant. Try removing all dairy products. A lot of that discomfort will go away as your liver speeds up. Coffee can mess up your liver’s detoxification and metabolism process. This can make you feel sluggish and unmotivated. Remember, detoxing your body is all about the liver. If you have to have some java on those mornings when waking up seems like a chore, first, drink after 10:00 am or try Dandy Blend. If its name doesn’t have you chuckling just a little bit, its chicory and dandelion mash-up will get you going. And, don’t worry about the taste, many people in the health industry swear it tastes almost like, or better than, coffee. Jokes aside, Dandy Blend is your friend. #3 Happy hour. Skip it. Happy hour tends to run from what, 5 – 7 p.m., right? Just that alone should raise red flags. If the name doesn’t reflect how many hours it actually is, i.e. more than one hour, than you should steer clear. During happy hour, you and your friends drink too much. It’s a well-needed activity after a long day at the 9 – 5. Wind down, injure your liver. It’s all good. To detox your body, drink very little alcohol so your liver doesn’t have to break itself filtering out drinks like an Old Fashioned. In fact, spare the bartender the work of making one of these and grab a non-alcoholic beer. Even though it’s not, technically, alcoholic-free, it won’t leave you a hungover mess come morning. Sure, you had an excuse to walk by that expensive piece of corner of the grocery store, but not anymore. With caffeine and happy hour a thing of the past, you have enough money to afford organic. Organic produce and meats will detox your body by getting rid of ingredients like pesticides, steroids, and antibiotics. Lean, grass-fed animals, grapefruit, and asparagus are just a few organic foods that will keep you from having to diet. Assuming you’re not elderly, you may associate fiber with men over 50. The commercials show elderly men, actually women, mixing invisible fiber into their water. They look unhealthily satisfied. But, the commercials are wrong. Fiber keeps you regular, so you need it, no matter how old you are. The health experts have researched and discovered you need a lot more fiber than when they first researched. 38 grams if you’re under 50 and 31 grams, at least, if you’re over 50. Filling up on whole grains or a few servings of F & V every day can prevent heart disease, diabetes, and colorectal cancer. Add more fiber slowly, so your body will have time to adjust. No restriction, just addition. Instead of starting your day with coffee, grab lemon water. It has an easy recipe, won’t make you crash later, and will strengthen your kidneys, bowels, and cells. What more could a guy want in life? After stretching, fill a huge glass with water and squeeze a lemon into it. The vitamin C will protect your liver by increasing glutathione, which helps detoxify your body. When you’re at the gym or sitting at work, keep a water bottle close by. 64 ounces is the recommended minimum amount to cleanse your system. Carrying around lemons isn’t necessary. Couldn’t miss this one. 20 – 30 minutes of aerobic exercise, twice a day, is paramount to detoxifying. You can get down to a 6% body fat because the fat will metabolize faster through the heat you create when exercising. An hour of your day can rid your fat tissue of insecticides, body waste, and harmful metals. If you’re missing happy hour, try yoga. It can keep you healthier by speeding up your bacteria-fighting lymphatic system, relaxing your muscles, and helping you digest faster. Another benefit of the gym? Your significant other will want to get closer, of course. Certain foods agree with your liver. Kale is one of them. Along with carrots, Brussels sprouts, garlic, onions, broccoli, beets, artichokes, and garlic. While you may have hated most of these foods as a kid, your parents weren’t lying when they said they’re good for you. 4 – 5 servings a day can keep the diet away. That, and herbal supplements like burdock, dandelion root, yellow dock, nettles, milk thistle, and Schisandra. Combine these supplements in a tea or buy capsules at your local health store. 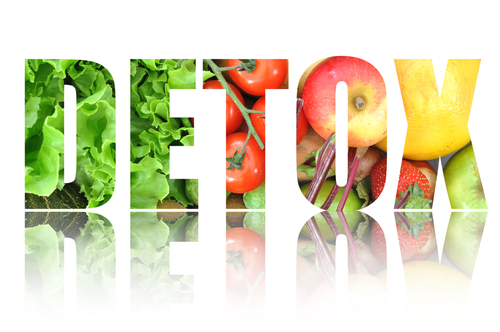 Detoxing without a diet is the ultimate way to live. After a while, you won’t even have to think about these decisions. Restock your house, pick up a yoga mat, get rid of pop, and have the energy you need to meet your fitness goals. And when you need a break, spend 30 – 60 minutes in a sauna from 3 – 5 days a week. You don’t have to do much but sweat and rub off dead skin with a loofah. Easy detoxing. No diet. Previous ArticleAdaptogenic Supplements-Can These Products Help to Reduce Stress?